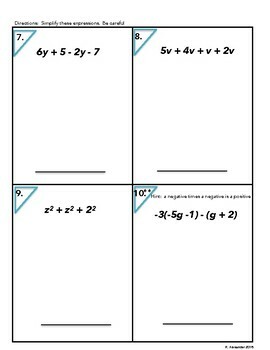 6.EE.3 Equivalent Algebraic Perimeter, Properties, and expressions. Here's a little something that I created to expose my students to the different properties. 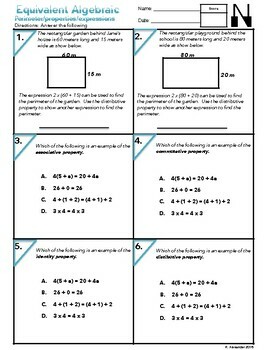 There are also a few word problems for students to review algebraic area.